Why Work for Global Healthcare IT? We are the experts in healthcare IT solutions. many of which are exclusive to Global Healthcare IT. Our mission is to provide reliable and expert level staff that consistently exceeds client expectations in providing healthcare IT solutions. At Global Healthcare IT, we’ve raised the bar in our search for talent in order to get qualified candidates the most value for their highly-demanded and sought-after skills. Over the years, our professional staff has placed hundreds of the industry’s top level talents in permanent, contract and contract-to-hire positions to deliver hospitals and healthcare systems with premier healthcare IT solutions. The Global Healthcare IT team is dedicated to understanding your core aspirations and motivations for your career in healthcare IT. Our candidate selection process includes detailed pre/post interview briefings, resume presentation, offer management and negotiation as well as post placement care to ensure you are confident and happy in your new position. For contract positions, you can rely on Global Healthcare IT to help navigate compliance and legal resources so you can focus on the job ahead. We partner with some of the most recognizable companies and healthcare organizations in our market sectors. As a leader in recruitment around the globe, Global Healthcare IT has the unique position in receiving unlisted and otherwise exclusive job opportunities from leading public and private sector organizations. Many of the healthcare IT jobs we fill are not available to the general public. Due to the exclusive nature of the healthcare IT market, the deep focus of our organization, and the decade long relationships we have built up, healthcare IT departments seek out Global Healthcare IT first and expect us to find them the best talent. The healthcare IT consultants we work with are highly skilled and at the top of their industries. This ensures that we find the best fit for both client and candidate, and our negotiation skills assure that candidates receive competitive salaries in their markets. Looking for healthcare IT consulting jobs? We offer the best healthcare IT consulting jobs at the best rates. The best decision you have ever made. 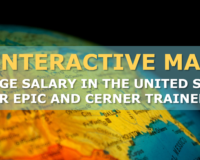 Find the best Epic consulting jobs, Cerner consulting jobs or any position in healthcare IT to accommodate your skill set. Many roles are exclusive to Global Healthcare IT including many Epic consulting jobs and Cerner consulting jobs. This creates competition – leading to better rates and better salaries for our consultants. Global Healthcare IT has added 50% more active healthcare IT clients in 2015. This gives you even more choices. We provide exclusive access to healthcare IT consulting jobs – Global Healthcare IT works with 24% of the active healthcare IT market. As a healthcare IT consultant for Global Healthcare IT, you will work with professional recruiters that specialize in this industry sector who will guide you through the hiring process from submission to placement. Whether you are looking for Epic consulting jobs, Cerner consulting jobs, or any positions in the realm of healthcare IT jobs, our resources will take care of your every need and get you where you want to be.